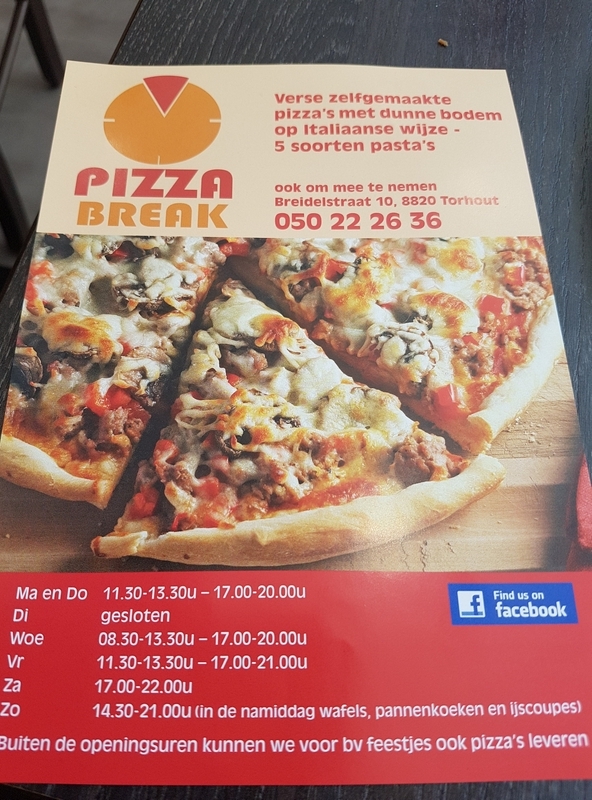 restaurant review #203 – Pizza break is a small pizza restaurant in the city center of Torhout (a mall town near the Belgian coast, not far from Ostend). We had heard about their vegan pizza option through social media. During one of our bicycle tours last Summer, we were in the area and went to check it out! Pizza Break is a rather small more fast food type place, not really for elaborate wining and dining. There’s also a small terrace in front. 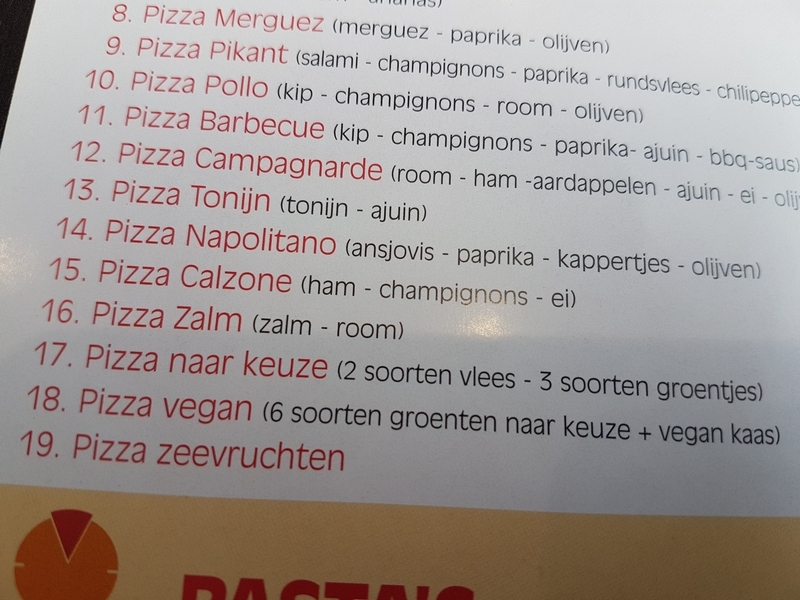 There was one vegan pizza noted on the menu (small 9€ or large 11€). I checked about the crust and was reassured it is vegan. So we ordered two large pizzas! We didn’t have to wait long for the pizza to be served. Huge pizzas, topped with plenty vegetables and vegan cheese. 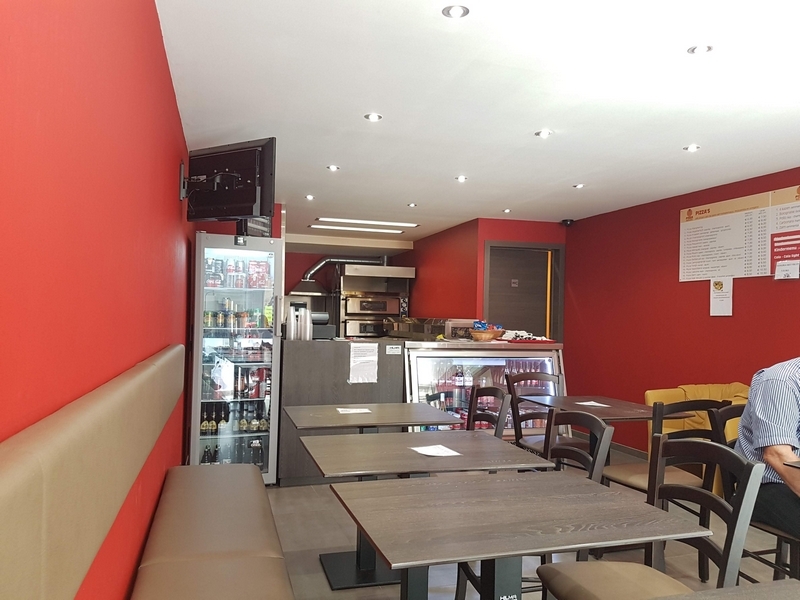 Aferwards, we chatted a while with the owner, on why he decided to add vegan pizza to the menu, and his search for good vegan cheese and a crust that bakes nicely and can hold the weight of all the vegetables. 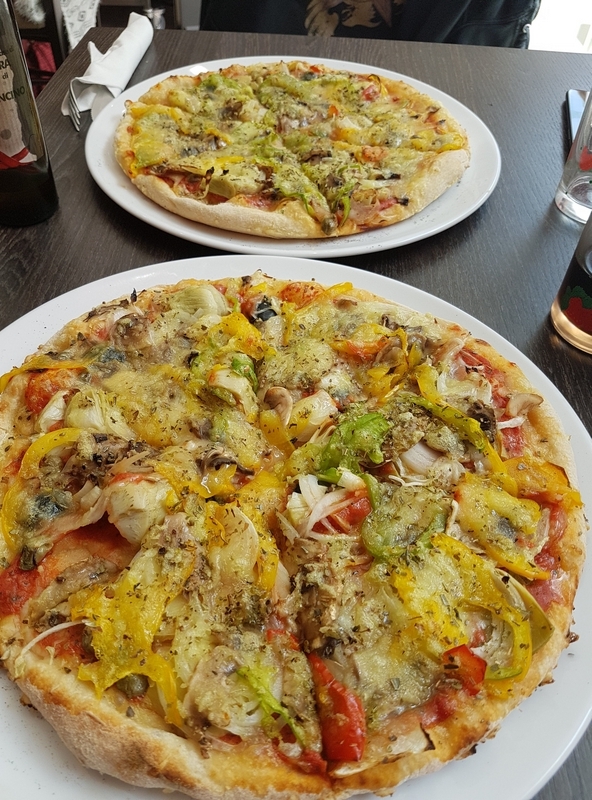 It’s nice to have a vegan pizza option in Torhout, where vegan options in restaurants are very scarce. But of course we could love to see more vegan options on the menu, maybe also with some protein pieces (soy meat, or chick peaces, ..). 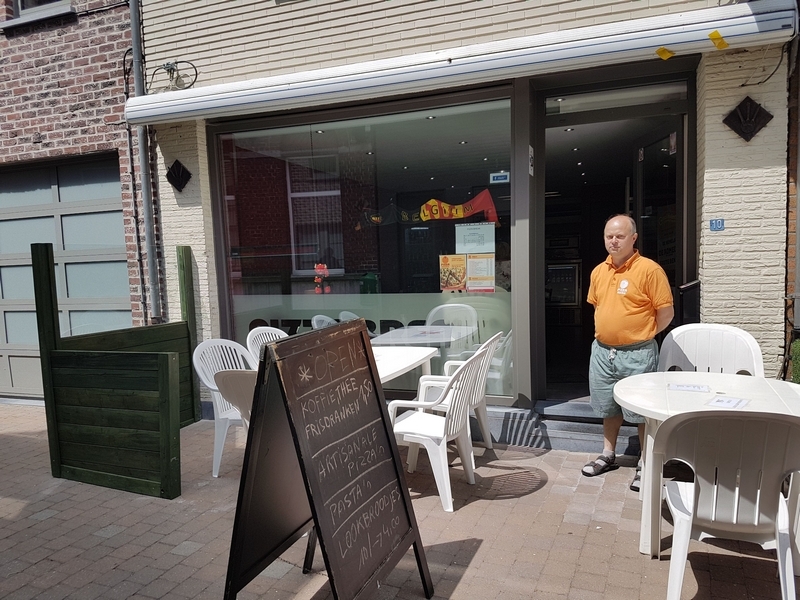 See my lists of restaurants where vegans are welcome in the menu section of The Bruges vegan! 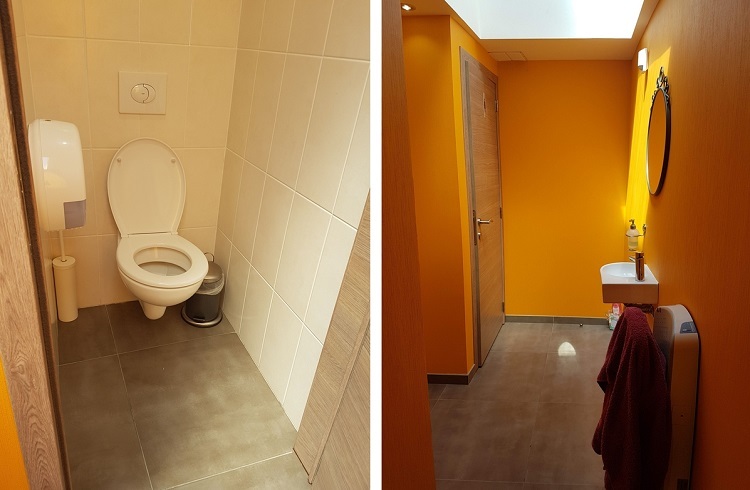 List restaurants in Bruges and outside Bruges. Good work, love your vegan adventures. 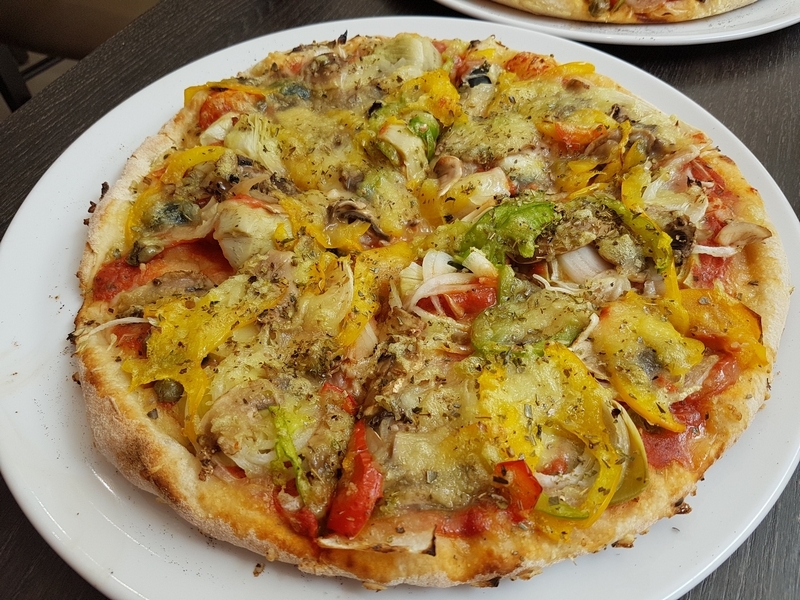 I hope you will include more information on the quality of the vegan pizza and the answers to some of the questions that you posed.